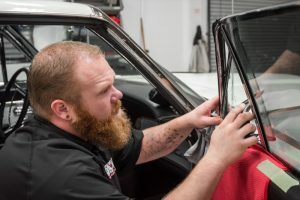 Kingpin Window Treatments (window tint) are an absolutely premium and high-quality approach to providing your vehicle with optimized heat rejection and darker glass. Kingpin Window Treatments extend the life of interior surfaces often damaged by high sun exposure, they mitigate the time required to cool the interior on hot days and provide an enhanced outside appearance for your vehicle. They can even provide an added layer of security by protecting your interior and belongings from prying eyes passing by. Kingpin Window Treatments comprise the best window film products available today. Clients can choose from two levels of window film; Heat Rejection or Premium Film. Both offer a full lifetime warranty against fading, cracking or discoloration. Kingpin guarantees your window treatments will endure for the life of your ownership of the vehicle. At Kingpin Car & Marine Audio your car is treated to extensively high levels of service throughout the window treatments installation. It’s the best because Kingpin’s clients place a high value on such attention to detail. Client’s cars receive an exterior wash both before and after the window treatment installation. This ensures no dust or debris that may be present on the paint will be inadvertently brushed to create a scratch or blemish. 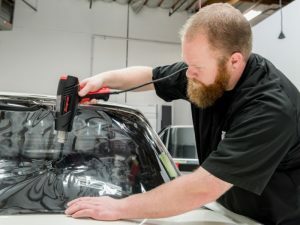 Window treatment installation technicians wear ‘no scratch’ clothing that omit any rivets in pant seams, belts or other clothing items that could contact the vehicle’s paint or interior surfaces. Regardless of complexity in compound curvatures, all windows are treated in a single piece of film without any seams or lines. 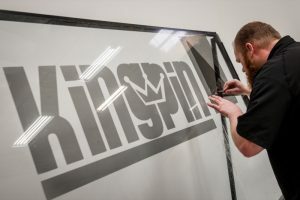 Kingpin’s highly trained and experience technicians know how to create ‘shrink to fit’ film that conforms to even the tightest curves without creases or air bubbles. All Kingpin Window Treatment installations carry a lifetime labor warranty in addition to the lifetime warranty on the window treatment film. There’s a reason Kingpin’s experienced window treatment installation technicians are regarded as the best in the business. Their attention to detail is unequaled. Their level of vehicle care is exceptional. Their warranty speaks volumes about the quality of the window treatment film as well as their work. 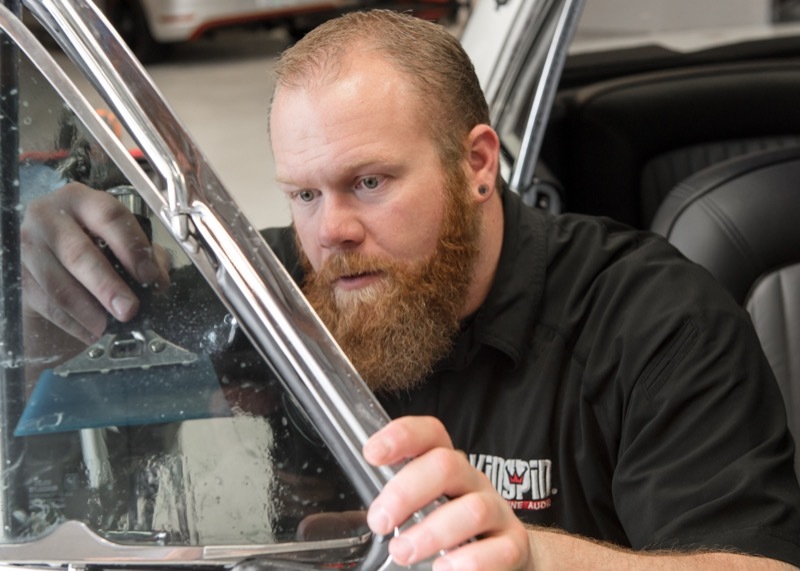 Come into Kingpin Car & Marine Audio today for a no-cost evaluation of your vehicle’s window treatment needs. You’ll soon be enjoying a cooler interior and an enhanced look to your vehicle.